Affiliate-Blogger 3225 days ago Search Engine Optimization marketing All http://www.seobook.com 2 Comments Published New Discard Success! I just read a WSJ article about how some hotel chains are trying to woo people leaving negative remarks publicly about their brand. 'I Hate My Room,' The Traveler Tweeted. Ka-Boom! An Upgrade! Generally speaking, the idea is crap. n how to get free room upgrades, with tips like: "Have a lot of online friends or followers. Hotels will pay more attention to your requests." Does anybody think those leading brands got to where they are by tracking complaints on Twitter? The customers who have complaints actually worth listening to will probably give it to you directly rather than Tweeting it. Since then we have increased our price 200% (as we have added more tools, more staff, and the value of my time keeps going up every day) and we still have many people who are happy as longterm customers at a higher price point. In fact when some people accidentally cancel their account I can get 3 to 5 emails in an 8 hour period when I sleep because they miss the site that much. But there is the opposite end of the spectrum as well: potential "customers" who demand a free trial, beg for aggressive discounts, or have 50 "one more question" questions before joining. They probably are not sold enough on the solution to be worth the effort of selling to. No matter what you offer them its probably not going to be enough. Their lack of internal value is reflected into their perception of the works of others, and if they buy from you without being sold on you they will probably ask for a refund, or find a way to be abusive to make you want to can them. In our support suite many non-paying non-customers mark their messages as critical. Whereas the people who are paying customers use a less extreme level, like normal. The levels that people can select are almost a filtering mechanism. Have you spent $0 with us & you mark your issue as critical & you use caps lock & rude slurs? Shift-delete. I didn't intentionally plan it, but our old programmer even built another filter into our business model. The people who join and then cancel right away get locked out right away. 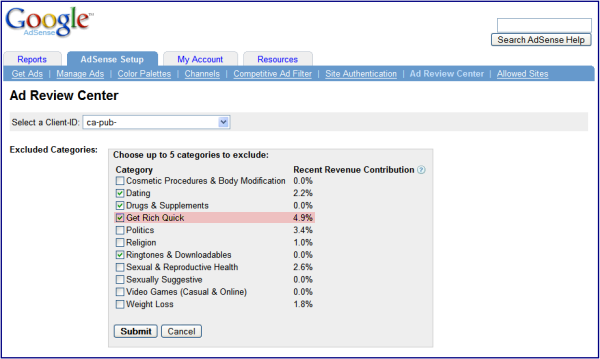 We then send them refunds, but this level of filtering filters out a major type of potentially abusive customer. The type who generally won't read or research but will ask 5 different questions 8 different ways each every single day until they have annoyed your members so much that you are forced to boot them to lessen the noise. The person who makes over 100 posts in their first 2 days isn't taking any time to read or listen or implement, so they would just harm your community without getting any value out of it. This leads to my theory of filtering: if a person needs lots of support becoming a customer (or before they become a customer) then they probably are not going to become a good customer. And if you take them on as a customer (or spend any money pushing in that direction) you will probably lose money. The person who sends me an enraged email about "why should I install Firefox" just wasted 5 seconds of my life & will never spend a penny with me. And that is fine. Many of the best companies aim to be polarizing. They pick their spots and define what they do, and work hard to make that market segment happy. That is how Steve Jobs views flash, and it is how Marc Andreessen likes to invest. Find out what people smarter than you are doing and find a way to incorporate those themes into your business strategy. The smaller you are the more polarizing you can be, because you don't have to create something that feeds thousands of employees to be profitable. You could spend every day trying to make any unhappy person happy with your offering. What if you took those same resources that were spent trying to appease the angry and spent them on making those who are happy that much happier? Does the free upgrade go further when it is given to an enraged steroid addicted customer, or does it go further when given to someone who has stayed with your hotel multiple times in the past? Where are they on this circle? The concept to think about here is that if someone is already fairly loyal it doesn't take much more marketing or attention to make them *super* loyal. And then they spread the word. There is a concept of fairness which is preached in school, but you should overweight your business toward your best customers. The person who has been a paying subscriber for years is worth thousands to tens of thousands of Dollars to our future business interests. And for clarity purposes, I agree with Chris that their can be great value in being a guide & helping people out. But angry high-maintenance people are rarely where sustainable profit margins come from (unless, of course, you are a divorce lawyer OR a PR firm who gets paid to give hotels bad advice). Affiliate-Blogger 3322 days ago Search Engine Optimization google All http://www.seobook.com Discuss Published New Discard Success! att Cutts talking about how he penalized a website for using deceptive marketing. 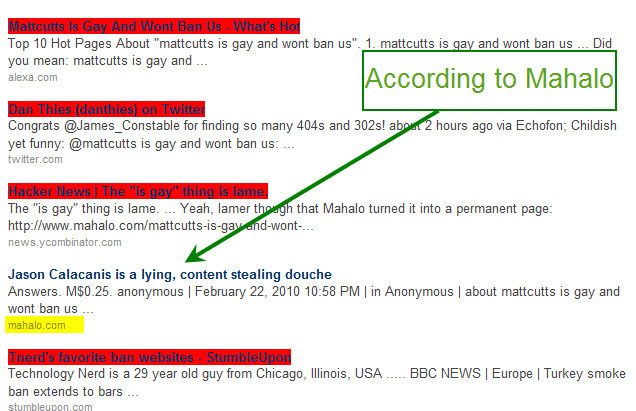 Later into the video (~ 21 minutes in) the topic of search results within search results and then Mahalo come up. 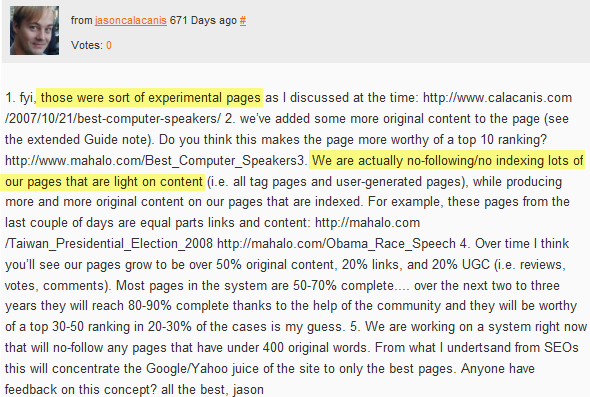 Affiliate-Marketer 3672 days ago Search Engine Optimization Blogs All http://blog.searchenginewatch.com 2 Comments Published New Discard Success! Back in December 2007, I observed that "Blogs Are the New Trade Press." Today, it appears that news blogs are becoming the new online newspapers, too. According to "The State of the News Media 2009," an annual report by the Pew Research Center's Project for Excellence in Journalism, "nearly one out of every five journalists working for newspapers in 2001 is now gone, and 2009 may be the worst year yet." e audience migration to the Internet is now accelerating. The number of Americans who regularly go online for news, by one survey, jumped 19% in the last two years; in 2008 alone traffic to the top 50 news sites rose 27%." In other words, people are still looking for news, "But audiences now consume news in new ways. They hunt and gather what they want when they want it, use search to comb among destinations and share what they find through a growing network of social media," reported the Project for Excellence in Journalism. A Pew Research Center Survey in December 2008, found the number of Americans who said they got "most of their national and international news" online increased 67% in the last four years. The presidential election was almost certainly a key factor in the growth. More than a third of Americans said they got most of their campaign news from the Internet in 2008 -- triple the percentage in previous presidential election year. Although the growth in online news consumption cut across age groups, the growth was fueled in particular by young people. Young voters and activists now rank the Internet as a news source of importance parallel to television, according to the Pew Research Center Survey. The State of the News Media 2009 added, "And the video site YouTube also became a major delivery system for people to get news posted and recommended by friends and associates, and often from political campaigns. The Obama camp reported more than a billion minutes of campaign-produced material was downloaded from YouTube. And Youtube reported that the Obama campaign's 1800 web videos were viewed 100 million times in total." According to Pew Research Center data, as of August 2008 the percentage of Americans who went online regularly for news (at least three times a week) was up 19% from two years earlier to nearly four in ten Americans (37%). No other medium was growing as quickly. Most saw audiences flat or declining. The new numbers put the Web ahead of several other platforms for the first time. In the same August survey, 29% of Americans said they "regularly" watched network nightly news, 22% watched network morning shows and 13% Sunday morning shows. The percentage of Americans, who relied on the Internet regularly, according to this data, was now roughly similar to that who regularly watched cable television for news (39%). More people still read a newspaper "yesterday" (34%) or listened to news radio (35%) than had viewed news online "yesterday" (29%). But the gap was narrowing. Although the shift in audiences from print newspapers to online newspapers is "old news," Newsknife, which rates the top news sites at Google News, has just reported some "new news" that indicates of source gathering the news is also shifting. According to an article posted yesterday, Newsknife noticed changes at Google News at the beginning of March that could affect traffic to news sites. It appears to Newsknife that Google News has significantly increased its listing of blogs. "Compared with our previous findings there's now a real blogstorm," it reported. Newsknife found 150 blog sites at Google News during March. "The growing number of blogs appearing at Google News seems to offer a simple success formula to news site owners: start blogs for your site and increase your chances of being listed at Google News," it advised. Many news site owners started doing this a year ago. For example, Newsknife reported on March 1, 2008, a that blogs from the Washington Post, New York Times, Baltimore Sun, USA Today, and Los Angeles Times were starting to appear in Google News. The topic of news business models for publishers in these changing times was addressed at SES New York last week. I moderated a panel that included (in aphapbetical order): Mark M. Edmiston, Managing Director of AdMedia Partners; Murray Gaylord, Vice President of Marketing and Customer Insights at NYTimes.com; Erik Matlick, CEO of Madison Logic; and Gill Torren, Associate Publisher of SC Magazine at Haymarket Media. Following the session, Byron Gordon of SEO-PR interviewed Gaylord about the changing media landscape. Gaylord says The New York Times was aware of social media's impact back in the 1990's and has taken steps to integrate such developments into its brand making it the largest news site on the Web. Gaylord added that NYTimes.com has more than 55 blogs and is integrating thousands of videos and related digital media into to its website, making the NY Times the most shared site on the Web. He went on to highlight a particular New York Times collaboration with Facebook, in advance of President Obama's inauguration. What does this mean to readers of this Search Engine Marketing News Blog, which is also one of the more than 4,500 English-language news sources worldwide that have their headlines aggregated by Google News? It means news search SEO is larger than press release optimization. It's larger than news article optimization. It includes blog post optimization. And based on the latest Newsknife findings, it appears that news bloggers may be better at optimizaing their posts than traditional newspaper reporters. And this was happenening even before the economy collapsed. What are the implications? The news industry has to reinvent itself sooner than it thought. And it has to do this at a time when economists are trying to draw the line between a recession and a depression. In the meantime, marketers need to focus on the news blogs that are becoming the news online newspapers. Agtsindia 3117 days ago Search Engine Optimization seo sem ppc cpc All http://www.agtsindia.com 1 Comment Published New Discard Success! Professional web design and internet marketing company in india.Our internet marketing strategy encompasses a wide range of activities, from optimizing websites, improving their indexing on search engines or building link programs to managing traffic generation lists or making your website more user-friendly. Affiliate-Blogger 1110 days ago Search Engine Optimization time retire seo All http://www.seobook.com Discuss Published New Discard Success! For a limited time, get $100 in free search advertising with Bing Ads* and start tapping into millions of potential customers searching for products and services like yours on the Bing Network. Affiliate-Blogger 3217 days ago Search Engine Optimization free data All http://www.seobook.com Discuss Published New Discard Success! e are still a lot of naive folks online! Google has a patent for finding under-served markets. And they own the leading search engine + the leading online ad network. Affiliate-Blogger 3512 days ago Search Engine Optimization business All http://www.seobook.com Discuss Published New Discard Success! god 3318 days ago Search Engine Optimization social mediatwitterrankingsearchtopsytwitter search All http://www.seoptimise.com Discuss Published New Discard Success! instead of just showing the latest ones. Search Engine Land asked when the news Twitter search ranking will get live but they [...]© SEOptimise - Thinking of attending SMX London in May 2010? mx-advanced-london-2010.html">get a 15% discount code! iPad, iPad, iPad!!! No, Just Kidding. Twitter Recommends Users Algorithmically. A New TwitterRank? Affiliate-Blogger 3503 days ago Search Engine Optimization marketingseo tips All http://www.seobook.com Discuss Published New Discard Success! What is the purpose of that new page you're adding to your site? After the visitor has arrived on your page, what do you want the visitor to do next? So, if you build a landing page, and you're going to invest time and money to get people to visit it, it makes sense to optimize that page to accomplish just one of the things above. Perhaps two, but no more. Keep that desired action firmly in mind when you design and optimize your pages. The first rule of optimization is to optimize for humans. Ranking a page, only to have visitors click away, is a waste of time and effort. In the SEOBook Forums, we offer site reviews as a service to members. We often see sites where it isn't clear what they visitor needs to do. This is usually caused by too many options presented on one page. By trying to please all audiences, we often end up pleasing nobody. Decide the key action you want people to take, and relegate all other options. Either move some options to a different page, or reduce the visual weight of other options relative to the main action you want a visitor to take. An exception to this rule is when the user is very familiar with the site. A lack of options often means too many clicks to get things done. However, if your page is focused on the first time searcher, then simplicity and clarity is the way to go. Do you know where people's eyes focus when they land on your site? Check out this tool at FenGui. The tool tries to work out how people will visually scan your site. Some web statistics packages, such as Google Analytics and ClickTracks, provide visual click tracking based on user activity. Before deciding on a template for your site, it is a good idea to test out your ideas using PPC. Knock up a few different designs, run a short campaign and use split/run testing to determine which page layout result in the user taking the desired action most often. Armed with this information, you're less likely to waste time in your SEO campaign. There are few hard and fast rules when it comes to web design, because each element you add will affect what is already there. Or not there. Make sure all visual elements underscore the desired action. Does the visitor do what you want them to do? Often, other criteria will blur this vision. For example, a designer who is more interested in winning awards than ensuring your pages do what they should, may make a page pretty, but sometimes pretty doesn't result in a desired action. An SEO can sometimes be overzealous in terms of keyword usage, which can result in dense text and odd-phrasing, which has the potential to put visitors off. There is little point putting a lot of effort into attracting visitors if they don't do what you want them to do. Positioning of adsense can be the difference between making pocketmoney and making a living. 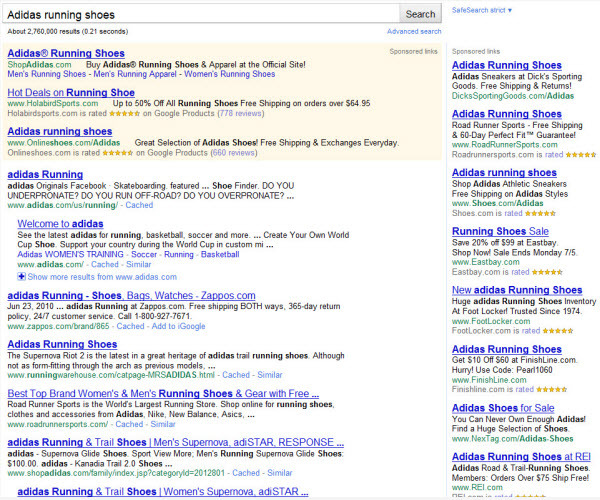 Look at Adsense as a visual element, as opposed to a block of text. Typography and text layout are design elements, every bit as much as graphics. Are your eyes drawn to Adsense as you scan the page? If not, you may need to tone down other visual display elements, including color, to make Adsense Ads stand out. If Adsense is the way you monetize, the desired user action is the click. Are other elements on your page, be they links or graphics, competing for that click? Broad Match Modifier – One Of The Four Match Types In The Mix! god 1873 days ago Search Engine Optimization Uncategorized All http://white.net Discuss Published New Discard Success! The post Broad Match Modifier – One Of The Four Match Types In The Mix! appeared first on White Noise.